Understanding the dynamics of a car accident is a difficult task. Starting from the final scene of the crash, reconstruction experts need to work backward in time and determine for each moment position, speed, trajectories, forces, etc. of an often very complex event. To solve such a hard problem it is crucial to collect complete and precise information and to use the right tools. 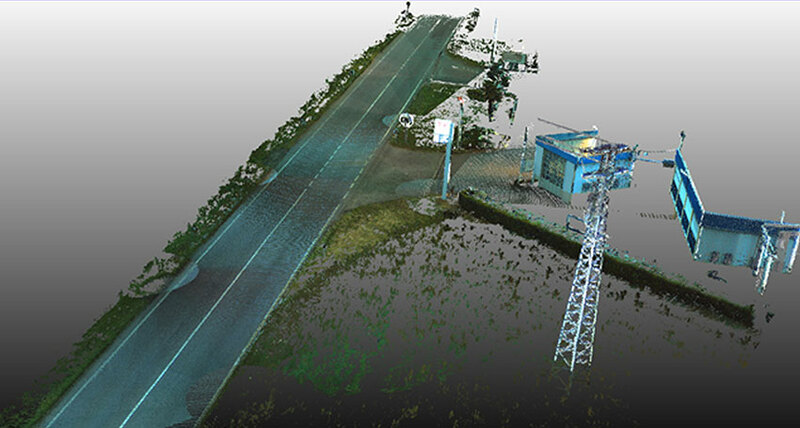 survey on crash site – a laser scan taken just after the crash is the best way to ‘freeze’ the scene and quickly collect valuable information and measurements like final position of the vehicles, marks and scattered parts on the asphalt, etc. 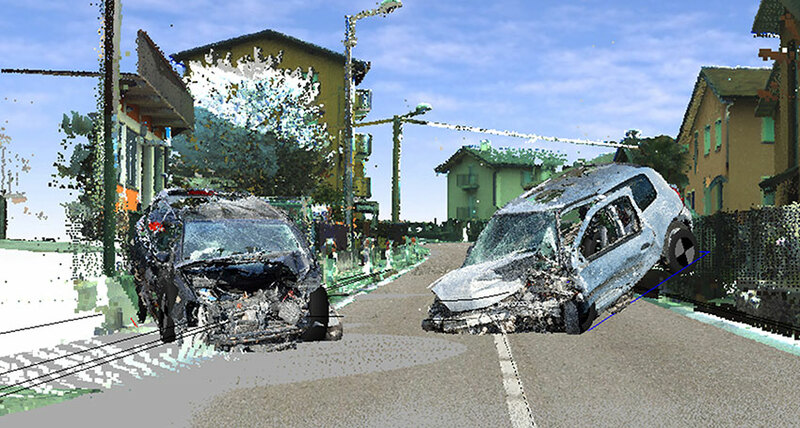 3D model of the vehicles – by reconstructing a 3D model of the vehicles after the crash it is possible to precisely measure deformations and thus understand how was the impact. 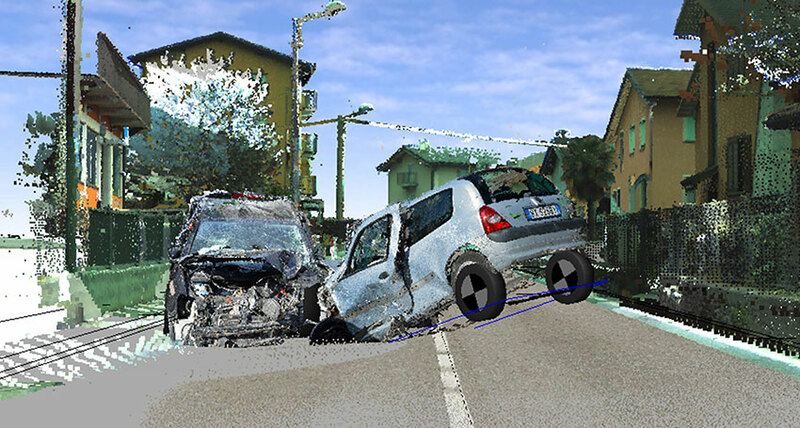 By using the scan of the crash area, it is possible to create animations from different point of views of the crash and even recreate the point of view of each driver. 3D visualization is very powerful to communicate also to non-expert people the results of the analysis. 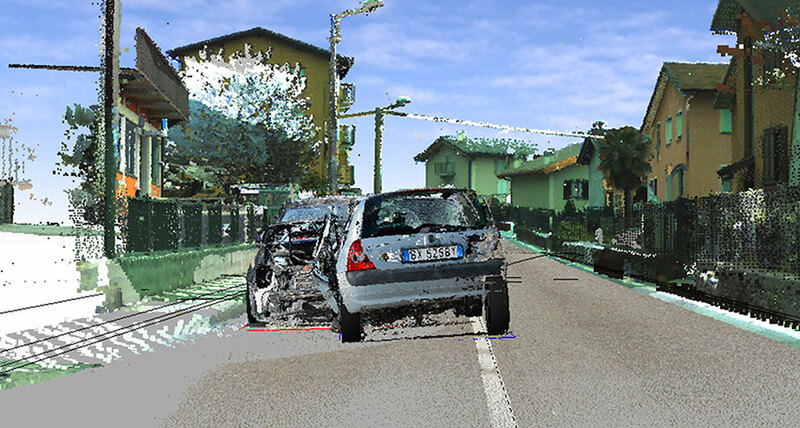 X300 is perfectly suited for this application thanks to its rugged design and ease of use and has become a favorite among car crash analysis professionals.